The ocean can’t take any more. For centuries we have dumped our unwanted waste into the seas, creating a crisis that threatens not only marine life, but everything that depends on the seas. And despite our technological prowess, humans have so far been unable or unwilling to stem the tide of pollution entering our ocean. This global problem demands a global solution; one that brings together the best technology, the most effective resources and, importantly, the most dedicated and influential partners to launch an innovative recovery plan. Based on the concept of the circular economy, Dow supports a collaborative model in order to attract the institutional investment needed to scale integrated, profitable and sustainable recycling and waste management projects that not only provide a solution to marine debris, but also offer an attractive financial return to investors. Plastics are one of the foundations of modern life. Nearly everyone on the planet benefits from its versatility and lightness. Everyday items – from eyeglasses and bike helmets and cellphones to shoes – are made more durable and lighter thanks to plastics. Plastics also play an often unseen - but tremendously positive role - in sustainability. Plastics packaging, for example, greatly extends the shelf life of food and retards spoilage, helping move more food from farm to table and delivering fresh food to millions around the globe. Their low weight also reduces transportation costs. Those environmental benefits extend to today’s vehicles, too. By introducing light but durable plastic materials, vehicles are now more fuel efficient, produce far less carbon dioxide emissions and are safer and more comfortable than ever before. As global populations – and incomes – have risen over the past several decades, the use of plastics has also risen. This is especially true in Southeast Asia, where a rising quality of life has fueled a greater use of plastics than anywhere else. 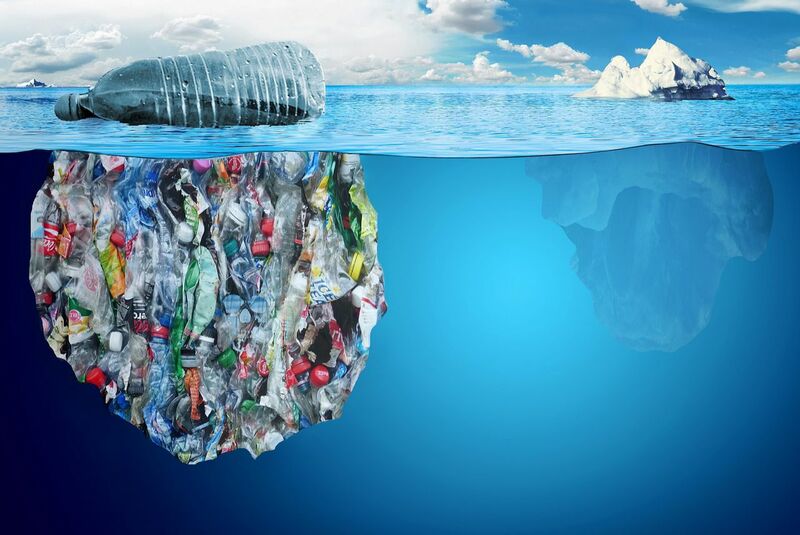 The growing demand for plastics has created unexpected and serious waste problems. Much of the plastic currently produced, for example, ends up in the ocean. 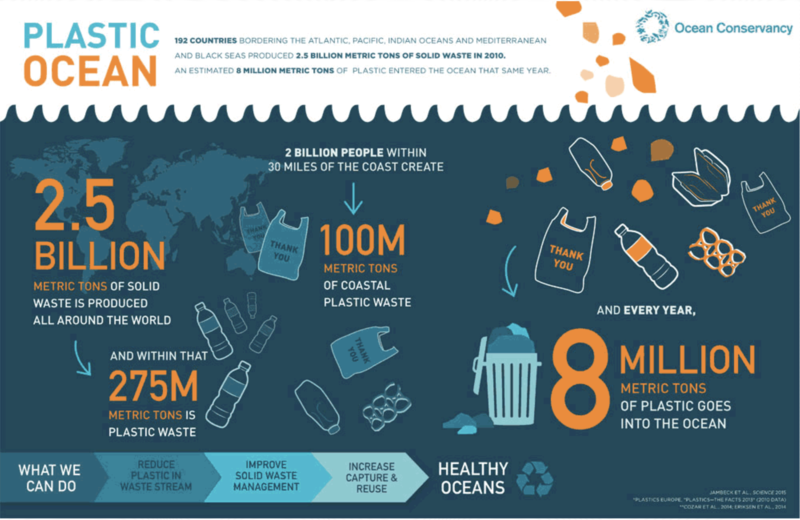 The Ocean Conservancy estimates that as much as 150 million metric tons of plastics are circulating in our oceans right now - and humans are adding another 8 million metric tons of plastics to the ocean every year. While part of that waste comes from fishing vessels and offshore gas and oil platforms, the vast majority – 80% – actually comes from land-based sources. Three-quarters of this pollution is uncollected waste while the remainder comes from gaps in the current collection and recycling systems. This waste is placing a tremendous burden on aquatic life. Many fish species, for example, consume plastics debris, confusing it for real food. The Ocean Conservancy estimates that at least 600 different wildlife species are threatened by plastics waste in the ocean. Nearly a billion people worldwide rely on seafood as their primary source of protein, while countless others depend on healthy, clean oceans for their livelihood. Dow – one of the world’s largest producers of plastics used in packaging – believes this problem does have a solution. But a global problem like this needs new thinking, new partners, and open collaboration. Everyone – from producers to consumers and NGOs to governments – must play a part. We must do a better job of capturing and reusing our plastics waste. The use of plastics – especially in some developing countries – has outgrown current recycling capabilities. In fact, more than half of the plastics reaching the ocean come from just five Asian countries that have been overwhelmed by plastics waste. Better land-based waste collection and management practices in the most polluted regions would help stop the flow of trash into waterways. We see a significant opportunity to reduce total global plastics leakage by 45% by 2025 with an aggressive set of integrated and targeted waste management investments. And we’re currently working with others – like Circulate Capital – to fund and develop infrastructure that captures the waste before it has an opportunity to reach our oceans. The best opportunity we have to truly tackle this problem in the long-term is by applying the principles of a circular economy that values plastics waste for what it is: an opportunity for additional growth. By circulating plastics back into the manufacturing stream and reusing them in new applications, we can create a more sustainable and valuable recycling model. Our goal is to seed solutions-based entrepreneurs who can demonstrate the tremendous value-add of plastics - and ultimately to attract institutional investors to scale in a way that offers immense benefits to the environment as well as attractive financial returns. Dow and other science-based companies must lead the way in helping to innovate technologies that make it easier to recycle plastics into new products. But it will also require new commitments from government agencies, NGOs and industry to help provide the appropriate grants, loans, and capital investments necessary to seed these efforts. And it will require a healthy dose of consumer education to introduce the concept of a circular economy and demonstrate the uplifting power of collaboration. Now is the time to resolve the issue of marine debris. We must step forward – collaboratively – to find new answers, to innovate new solutions and create new value systems that end plastics waste forever. Our oceans can take no more.